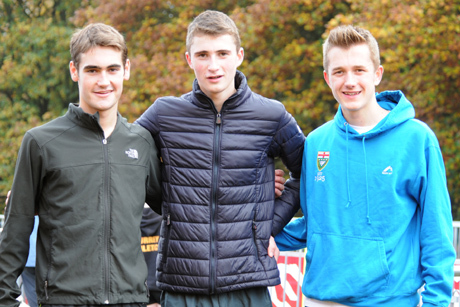 Rotherham Harriers produced the most consistent set of results in the National XC Relays at Berry Hill Park, Mansfield. The growing strength of the club was reflected in some impressive performances, with four teams in the top 15 of their age group. The U15 girls A team Mya Taylor, Keiva Rennocks and Grace Harris continued their fine relay form this autumn. The team finished an excellent 6th place and was the clubs best performance of the day. Luke Cotter ran an excellent first leg in the Junior Men's relay. He was then well supported by Ryan Beale and Devon Stead to finish 14th overall. The Senior women competing against some of the country's top athletes battled their way to 15th place (Natasha Hatswell, Fiona Davies and Sam Johnson).